Interactive play that changes as baby grows. 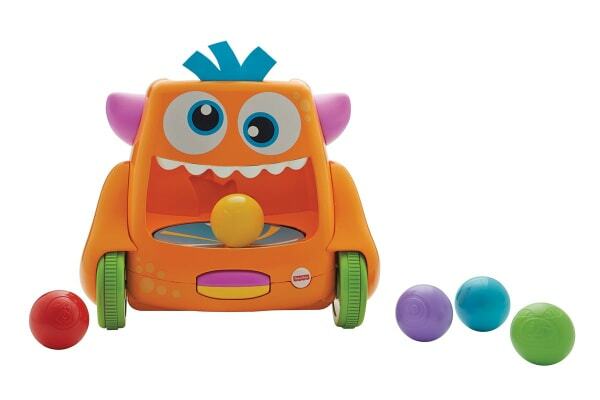 Your baby will love this interactive monster, featuring two exciting ways to play that develop as they begin to crawl. For a zooming, spinning, ball-popping good time! 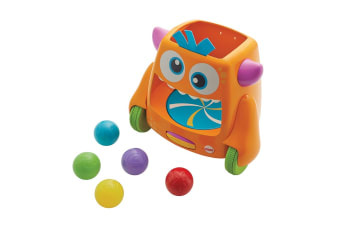 For sit-at play, little ones can fill the monster with five colorful balls, then bat at the rollerball to watch them spin around in its belly and spill out. 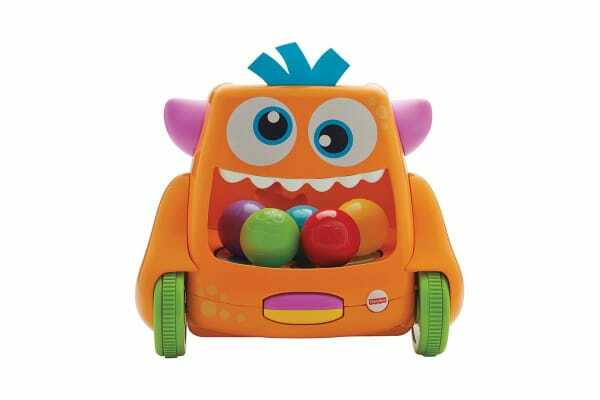 When they’re ready to crawl, their silly monster friend starts zooming around the room, spinning and tumbling the balls out as it goes, encouraging babies to chase after it and sporting 15 encouraging phrases, songs and sounds to keep your little one chasing again and again. Discovering all the ways they can make their silly monster friend move introduces little ones to cause and effect, when encouraging them to chase will strengthen those muscles and show them new sounds and textures.